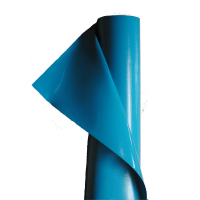 Snyder Manufacturing’s vinyl laminated fabrics have been a mainstay for industrial applications in an ever-changing textile world for more than 60 years. These products are used in high-performance multifunctional applications. Most Snyder Manufacturing products are Berry Amendment Compliant and all are made in the USA. In our general laminate product line we offer standard product weights of 8 oz./yd², 10 oz./yd², 13 oz./yd², 18 oz./yd², and 22 oz./yd² in our popular Faille (pronounced “file”) emboss. These products have excellent abrasion, tensile and tear resistance, and are formulated for mildew and fungal resistance. Applications include dock seals, dock shelters, industrial curtains, equipment covers, and patio enclosures. 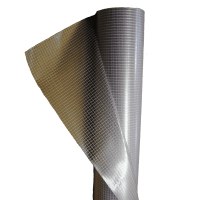 Snyder PVC coated mesh products combine high tensile and tear strength with abrasion resistance, mildew resistance, and weather and UV resistance. 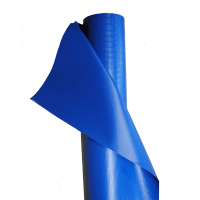 Available in 8 oz./yd² and 10 oz./yd², they can be utilized for filtration, bagging, netting, agriculture, geotextiles, windscreens, truck covers, RV window shades, and for childproof netting around pools. Snyder Manufacturing Sound Barrier Fabrics (STC13 & STC17) are sound blocking materials that reduce outside noise and light. 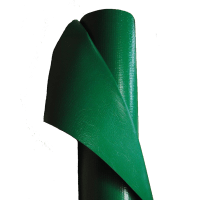 They are a flexible, high-density, reinforced vinyl fabric that resists the passage of sound waves and reduces the transmission of airborne noise. STC 13 and STC 17 are ideal for direct application to the noise source and/or to the housing covering the noise source. 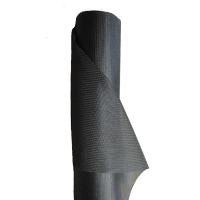 Snyder Sound Barrier products can be combined with acoustical foams, mineral fiber, glass fiber, and ceramic fiber insulation to provide lightweight, efficient composites with high-transmission losses over a broad frequency range. It is often used in walls under the drywall in home offices and industrial building to assist in suppressing noises. Snyder Sound Barrier products are thin, light weight, flexible, flame retardant products that are formulated with anti-mildew, anti-fungal, and antimicrobial agents. In addition, Snyder Sound Barrier specialty fabrics completely eliminate light from transmitting through.